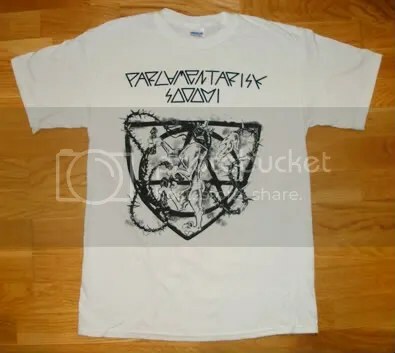 One of the most popular Parlamentarisk Sodomi shirts ever to be printed has been reprinted. Do you really have anything better to put on your motherfucking body? Currently available in S, M, L, XL. Please email your order with your address to parlamentarisk [at] hotmail [dot] com. This entry was posted in Uncategorized and tagged Parlamentarisk Sodomi, shirt. Bookmark the permalink.